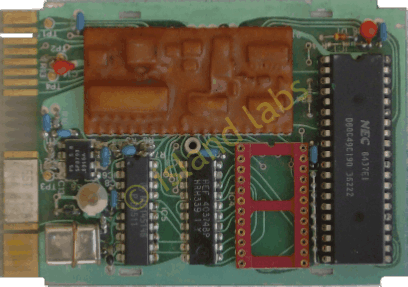 The custom masked ROM microprocessor control all functions of PRC: e.g. channels frequency, modulation index, ATU and a low-pass filter. The synthesiser chip and the prescaler are also on this board; the reference frequency also serves as a clock for the microprocessor.